As a church, we want to continue to be involved in our community and provide opportunities to connect with them. This year, we are going to host our fifth Easter Eggstravaganza, which will offer Easter Egg Hunts, inflatables, games, food, and more for our community and church family to enjoy. We have secured a prime location in Bowie, the grass area across the street from the Bowie Library. It is located between Rt. 450 and Sussex Lane. It is a large grass area, very visible, and there is plenty of parking at the library. The event is going to be on Saturday, April 20, 2019 from 10 AM - 1 PM. We have done and will continue to do a lot of planning, but we need your support to make this outreach event successful! We need people to help setup, run the activities, mingle with the community, and clean up at the end. This is a great opportunity to love our community and share with them the love of Christ! If you want to help setup, we are going to start unloading the vans at around 8:30am and plan to be done setting up by 9:30am. Also, we are asking everyone from Grace to park at the Bowie Library and walk over, so the community can park closer along the street. If you want to help cleanup, we are going to need help not only at the Field on Sussex Lane, but back at church and Jireh Place. We are going to need to unload the vans and get everything cleaned up for Sunday morning. For setup, we are going to start unloading the vans at around 8:30am on Sussex Lane and plan to be done setting up by 9:30am. Coming from CCRC. Arrive ASAP. I sign up to help with the combo moon bounce, but really will be willing to help with the regular moon bounce, or anywhere else for that matter, if help is needed. Your responsibility will be to set out the first two egg hunts and help the first hunt run smoothly. 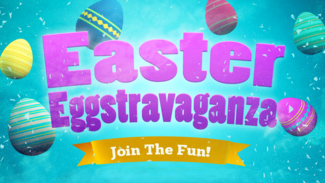 Your responsibility will be to set out the final 2 egg hunts and make sure they run smoothly. For cleanup, we are going to need help not only at the Field on Sussex Lane, but back at church. We are going to need to unload the vans and get everything cleaned up for Sunday morning.